MinRex Resources (ASX:MRR) today announced that it has engaged renowned consultancy group, Keystone Gold Pty Ltd, for a seven-day field program. 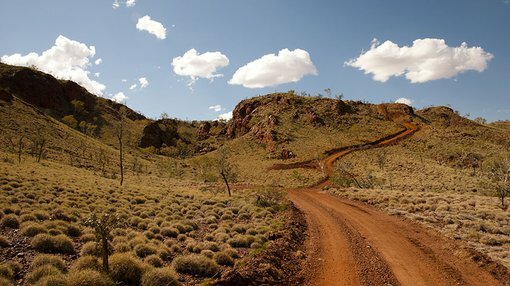 The program will include site inspections and metal detecting on MRR’s five highly prospective licences in WA’s East Pilbara region, some of which have conglomerate gold potential. Site inspection will assist the company in determining which projects to target, and to plan for further exploration and a potential drilling program in 2018. As MRR announced in late November, there are historical workings at some of the project areas, including previous rock chip samples of 30 grams per tonne of gold (Norm’s Find) and 1.28 grams per tonne (BC07). These historical workings and records have been assessed by both MRR and the consultants to help determine areas to target during the seven-day program. MRR is acquiring a 70 per cent interest in each of the tenements via a binding heads of agreement (HoA) through controlling entities. After reviewing historical workings, public records and consulting with MRR, the Keystone consultants will begin by orientating themselves at the Dalton’s Creek area and the Norm’s Find region. This will enable them to conduct prospecting activities at what they deem to be the most highly prospective areas for alluvial gold and conglomerate hosted gold potential. Notably, Novo Resources Corp (ASX:CVE), Haoma Mining NL (ASX:HAO) and Artemis Resources Ltd (ASX:ARV) have all recently announced landmark gold discoveries in surface conglomerate horizons in the Pilbara. Correspondingly, MRR’s Bamboo Creek, Marble Bar and Daltons projects are strategically located, adjacent to projects owned by HAO. 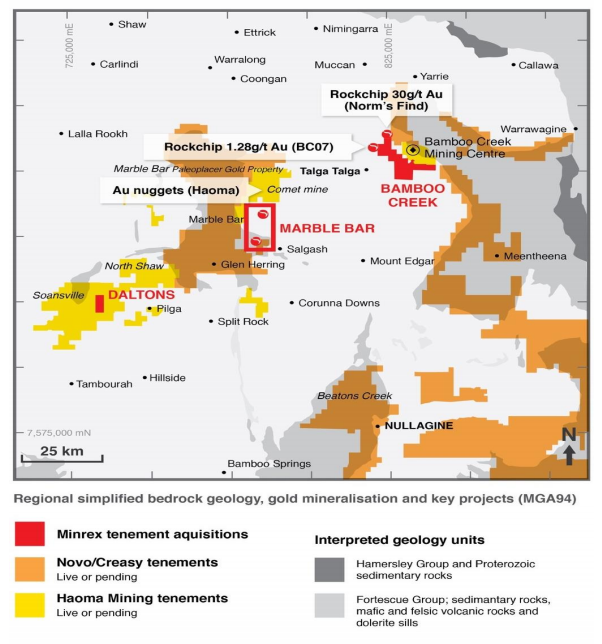 HAO recently revealed the presence of gold-prospective conglomerate horizons similar to those of the Witwatersrand in South Africa, located within the Fortescue Group in its project areas at Bamboo Creek and Marble Bar. CVE also holds tenure near Marble Bar and Bamboo Creek, and is targeting Witwatersrand-style auriferous conglomerate at the base of the Fortescue Group, specifically the base of the Mount Roe Basalt, and has had success at the Purdy’s Reward and Comet Well prospects in the West Pilbara.